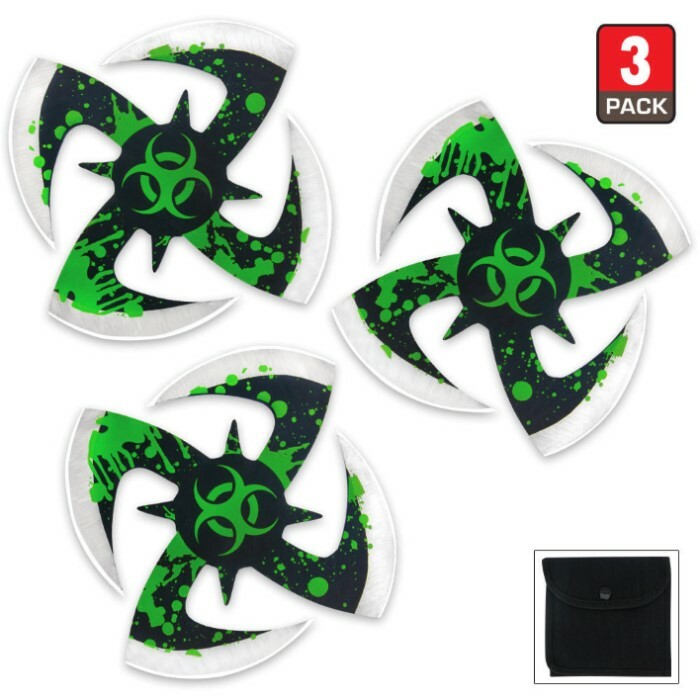 Set of 3 shuriken stars with an apocalypse twist. 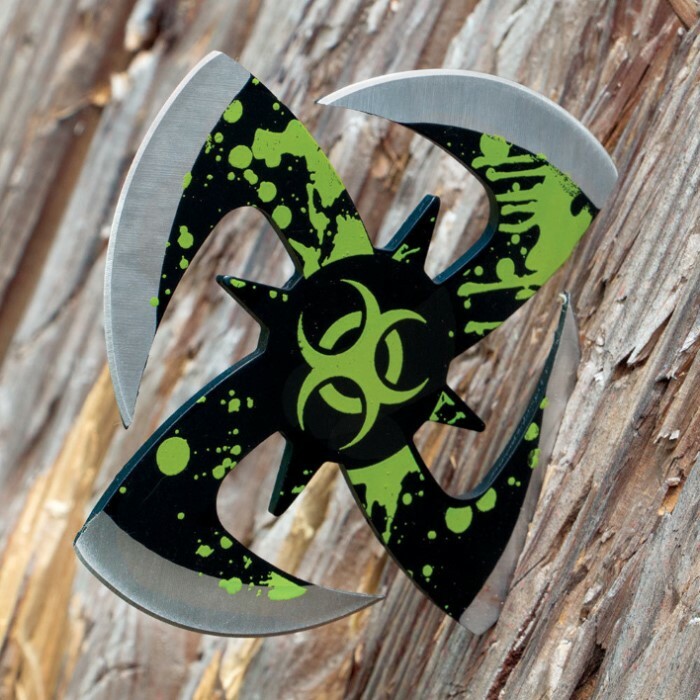 These 440 stainless steel stars have a black finish with silver edges and toxic green screen printed Biohazard symbol and splatter. Each thrower measures 4 in., and a black nylon pouch with belt loop is included. Great first time ever throwing ninja stars. Ordering more now. Arrived super dull. But were fairly study. Heavier than I thought they would be. I would probably not buy them again. I had ordered this with other swords in my preparation for the zombie apocalypse. This is the best and most affordable ninja star I have ever collected. Most others were at this quality and costed several hundred dollars. I encourage anyone out there to buy this if you want ninja stars and other cool items. noticed a lack of constructive reviews on a few items. these throwing.. things. by looking can tell you stick with edge like one would an axe. with a bit of practice, and keeping edges sharp can stick most throws. sheath hangs a little loose on belt. pretty cool and works but traditional would be more affective seeing as points penetrate without need of sharp edge. The set is very nice. Watch out though because they are very sharp. I love the case it comes with.